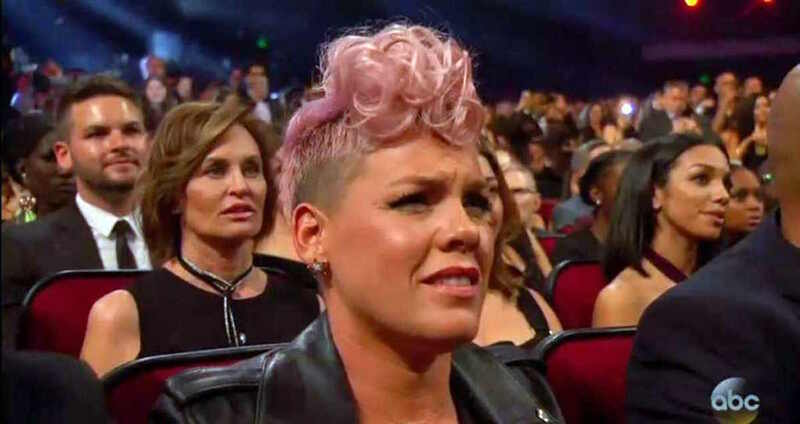 Pink and Christina Aguilera infamously clashed in the early 2000s, when they worked together on the song “Lady Marmalade.” What exactly went down between them is still a mystery, but Pink’s made it clear there’s no more bad blood between them. If you look at the photo, without context, it seems like Pink cringing. But if you actually watched the show, then you know she was responding emotionally to the performance. She was moved. Remember, they’re cool now. And that’s exactly what a Twitter user pointed out when he noticed people trying to stir the pot. “@Pink and @Xtina deaded their beef last year and have been FRIENDS since, respecting each other’s amazing talent as grown women. stop creating something out of nothing @TheShadyFacts,” a Fuse TV producer named Mark Sundstrom tweeted. There you have it, my friends. Hopefully, now people will actually put this 16-year-old tabloid story to rest.